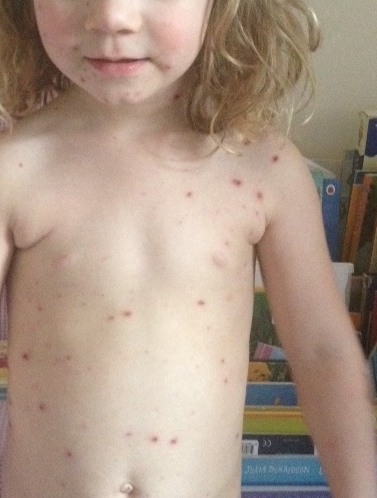 My youngest daughter has recently contracted the common virus known as Chicken Pox (herpes varicella-zoster). The virus can cause a high temperature, loss of appetite and the well known spots or rash. The spots start off looking like red spots, then they blister and finally scab over. Once the blisters have scabbed over the child is no longer contagious, even though the scabs are still present and can still look alarming, particularly to other parents! They can take up to two weeks to fade and disappear. During the blistering and early scabbing stages in particularly, itching can be pretty debilitating. My daughter didn’t try to scratch the spots but just stood there and cried in despair! At this point I used Calendula and Oat lotion. I chose this over the “traditional” calamine lotion because I always want to avoid synthetic preservatives that are found in many products nowadays. Calendula and oat lotion is deeply soothing and calming, with anti-inflammatory properties. 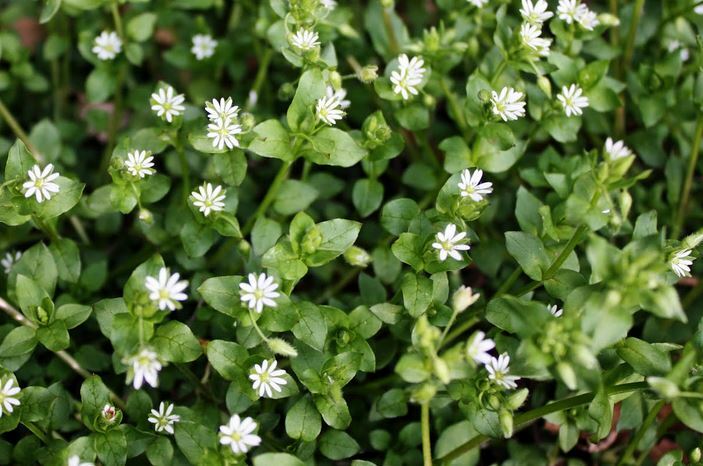 In addition to this, it also contains Stellaria media (Chickweed) extract, a traditional herb renowned for cooling and soothing itching or red skin: ideal for Chicken Pox. We had only one full day of itching and feeling miserable in general. I used the Calendula & Oat lotion regularly during this day, as well as giving her an oat bath. To do this I simply put half a cup of organic porridge oats into an old sock and knotted the top. Then I placed it under the running water when filling up the tub. I genuinely believe that the two above remedies reduced the time of itching and discomfort for my daughter (and subsequently me!) and am now prepared for my older daughter to contract the virus too! In addition to the above, I really wanted to give reflexology, however my youngest daughter is very much a person who knows her own mind and would not be persuaded. I would have liked to give some short and gently zone therapy with emphasis on the thymus and lymphatics to help the immune system fight the virus, and the solar plexus for calming. My older daughter is more welcoming to the therapy and she is already receiving reflexology regularly in the anticipation of catching the virus. It should go without saying, that in addition to topical lotions and medicines such as paracetamol, what the body needs the most in situations like this is water, and plenty of it. Now that the worst is over for my youngest daughter, I am now applying Organic Rosehip Seed Oil to reduce any potential scarring. Rosehip seed oil contains vitamin A, vitamin C and the essential fatty acids omega-3 and omega-6, which are fantastic ingredients to encourage skin rejuvenation, moisture replenishment, and healing. Previous What can we do for Eczema?